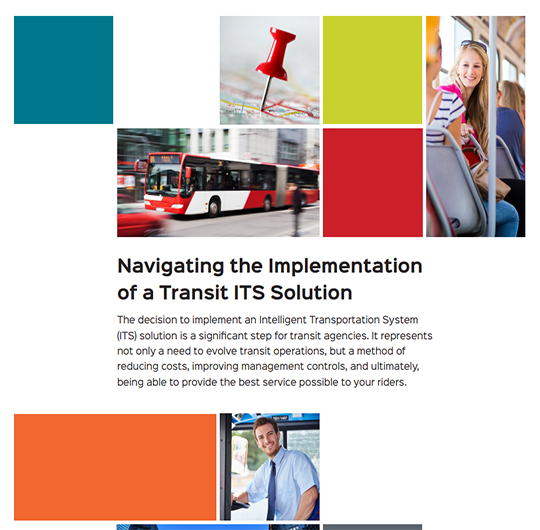 Scheduling, routing, CAD/AVL, hardware, and passenger information. 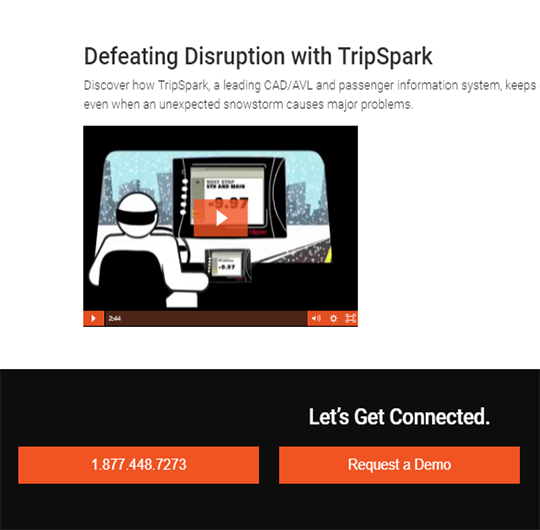 TripSpark's fixed route software incorporates a full-featured scheduling and routing system and transit grade in-vehicle MDTs for real-time dispatching and a reliable CAD/AVL system. Agencies can also take advantage of MyRide, an advanced passenger information and communication system that gives transit riders all the information they need. 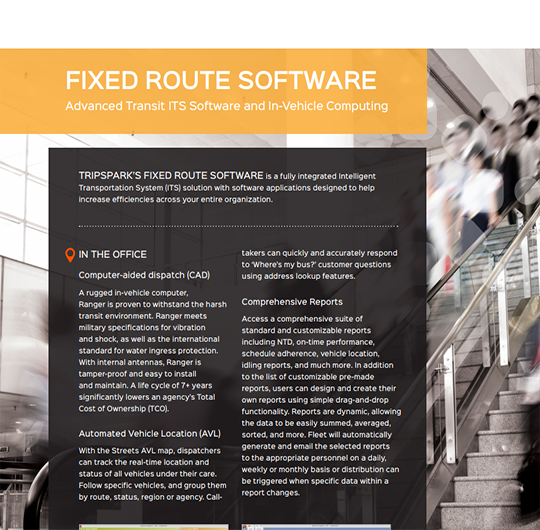 TripSpark’s powerful public transit software suite benefits fixed route administrators, office staff, drivers, and riders. We provide a single-source, single-vendor, best-in-class Intelligent Transportation Solution (ITS), which means that every piece of technology works seamlessly together, now and long into the future as your agency grows. Mitigate bottlenecks and keep people moving. Using CAD/AVL software, monitor driver actions and gain insight into vehicle locations, operational safety, on-time performance, and passenger load. 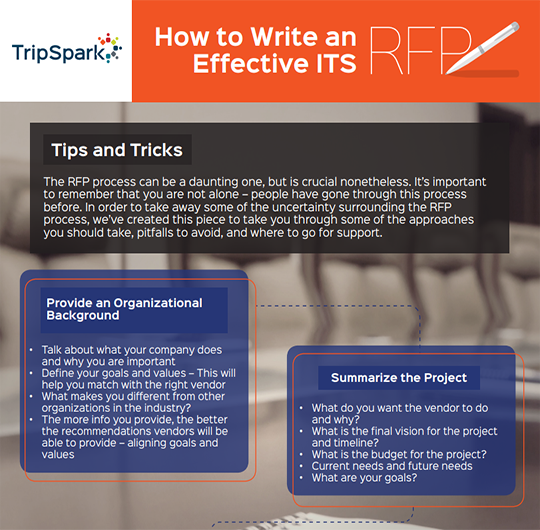 Use this information to take proactive actions like adding a new vehicle to a schedule. 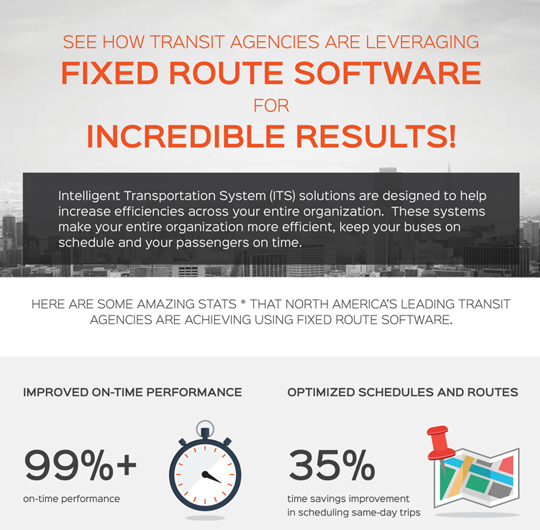 Using on-time performance and ridership reports, make changes that improve efficiency without sacrificing service. 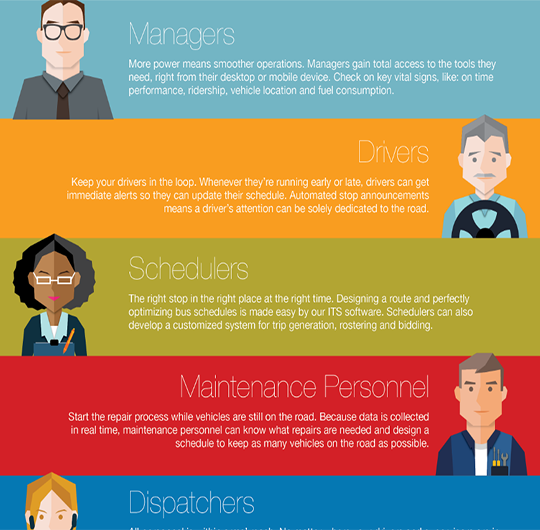 See where to make adjustments to stops, routes and service to ensure that you deliver the right service when and where it is needed. Improve rider satisfaction by giving riders convenient ways to access all the agency, route, and stop information they need. Share real-time information for regular and detoured routes and maintain ADA compliance with accessible real-time passenger information applications, SMS, IVR, wayside signs, and onboard automated announcements. Ranger, a transit-grade MDT, offers drivers advanced turn alerts and can report as frequently as once per second, allowing for true real-time AVL and accurate reporting. Integrated automated voice and visual announcements reliably announce next stop information without requiring any driver intervention, allowing drivers to focus on the road. Give drivers and riders access to detoured route information, including real-time vehicle locations and temporary stops. With Service Interruptions Management, agencies can create detours without modifying the regular service schedule, and communicate temporary stop information to drivers and riders. 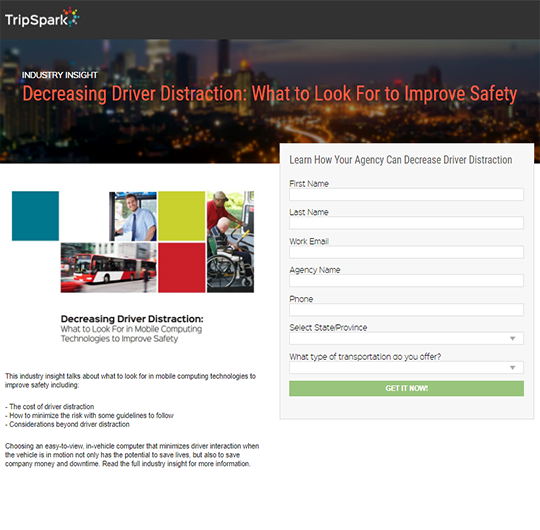 Moving Together with TripSpark means individualized solutions and access to exceptional support services. From Implementation to Customer Care, we have the right people and processes in place to support public transit operations. "We have gone from running about 4.5 million passenger trips up to nearly 8 million passenger trips, without overhauling the size of our fleet." Lethbridge Transit wanted to improve the relationship between their dispatchers and their riders, so they went with the CAD AVL system. Check out their story and see how it streamlined their operation. By analyzing transit data and optimizing routes and schedules, Dubuque Transit managed to drop $100,000 from their annual budget. As well, they were able to reduce bus trip times by roughly 50%. Watch the video to see why Candace Eudaley, Transit Manager at The Jule, believes in the power of fixed route software solutions.